Within the real estate management, we carry out daily and cyclically commissioned tasks, taking care of the proper tidiness at the building sites with various activity characters and also their surroundings. 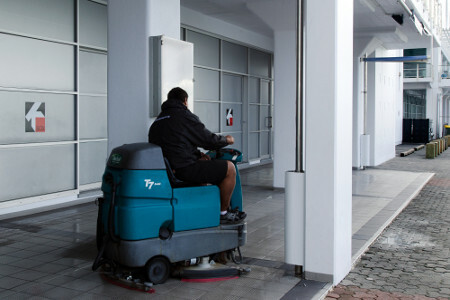 We adjust to the Clients offering an individual cleanliness maintenance service which complies with their requirements. We specialize in order maintenance in warehouses and office buildings of different advancement class, and space and technological development, including class “A” office buildings. We also perform specialist services. In our work, we use only quality assured chemicals with required certificates, authorizations for placing in service; we use professional equipment, which is operated by trained employees.